At Dakota Dental, we believe brushing and flossing go together like peanut butter and jelly, milk and cookies, or French fries and ketchup. Individually, each one is good; together, the result is exponentially better. Most people understand the importance of brushing at least twice a day. When it comes to flossing, however, people tend to let it slide. Often the question arises, “What’s the deal with flossing?” The dental care team at Dakota Dental has the answer. Brushing gets parts of your teeth clean, but little bits of food in between teeth are often only reached with dental floss. Taking care of your teeth by flossing is one of the best ways to prevent tooth decay and gum disease. Further, some studies have seen a relationship between gum disease and heart disease and other serious conditions. 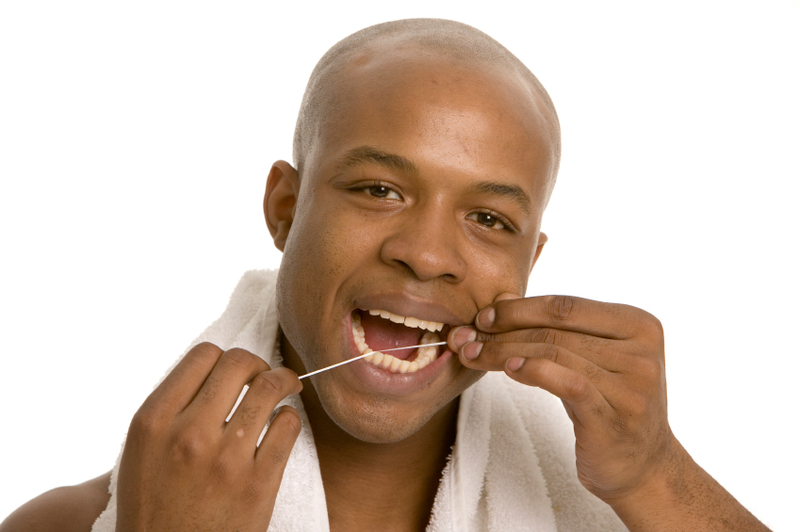 To maintain good oral health, as well as overall health, a minimum of one flossing every 24 hours is needed. To be most effective, know how to clean your teeth – Dakota Dental recommends winding about a foot and a half of dental floss around the middle fingers of each hand. Then, using thumbs and forefingers to hold the floss, guide it between the teeth and gently rub it up and down across the surfaces of each tooth. When flossing the gum area, curve the floss into a “C” shape and slide it between the gum and the tooth. A rinse with mouthwash afterward can also reduce bacteria and plaque. To learn more about preventive dental care and avoiding oral health problems, take a few moments to review our dental care blog and the information on the website. We also invite you to contact us to schedule time with one of our dentists for kids and adults. Dakota Dental, located in Apple Valley, Minnesota, offers dental services such as cosmetic dentistry, general dental services, and dental emergency services. Call Dakota Dental at 952-431-5774 or visit www.DakotaDental.com to make an appointment.